In 1787 the New York Manumission Society created the African Free School with the primary goal of educating black children. It began as a single-room schoolhouse with about 40 students, the majority of whom were the children of slaves, and taught them a variety of practical subjects. By the time it was absorbed into the New York City public school system in 1835, it had educated thousands of children, including many who went on to become notable leaders. 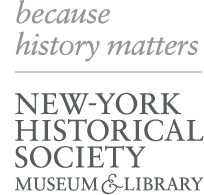 With the support of the Russell Sage Foundation, the New-York Historical Society has launched a comprehensive website, showcasing actual examples of students’ work from 1816 through 1826, offering an unparalleled glimpse into the little-known history of African-American life in New York City in the late-18th and early-19th centuries as well as pedagogical techniques used at that time.